Japan has temporarily recalled its ambassador to Russia for consultations after President Medvedev’s visit to the disputed Kuril Islands. Moscow announced on Tuesday that it would not take any return measures. Commenting on the permanent return of the Japanese ambassador to Tokyo, Russian Foreign Minister Sergey Lavrov has declared that the Russian ambassador would not be recalled from the Japanese capital. “We are not planning to take any steps in return, as we never undertake any measures that could deteriorate our relations with Japan,” Lavrov announced at a conference on Tuesday. The Foreign Minister condemned Japan’s actions, saying that the stirring up of emotions in Japan by recalling the ambassador in the wake of President Medvedev’s visit to Japan was “unacceptable”. 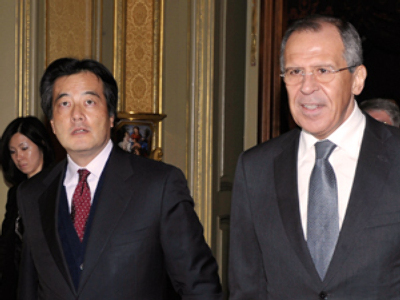 Lavrov added that the recall of the ambassador was a Japan’s internal affair and entirely stays within Japan’s discretion. 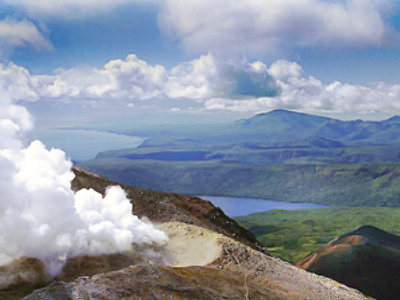 Also, according to the minister, President Medvedev may make further visits to other three Southern Kuril Islands. The diplomatic conflict has arisen just a week before Medvedev’s visit to Japan, where the Russian President is to attend APEC summit in Yokohama. In the course of the visit, bilateral talks between the President of Russia and the Prime Minister of Japan have been planned. However, despite the rising tension over the Kurils problem, Russia and Japan reaffirm that both the summit and the bilateral talks will take place as planned. 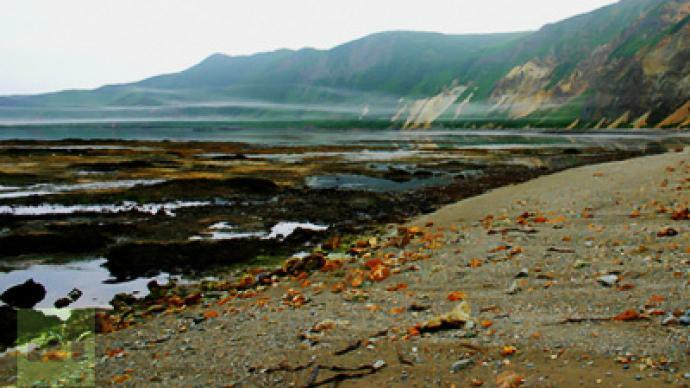 Although the Southern Kuril Islands are internationally recognized as a part of Russia, Japan claims them as part of its territory. As President Medvedev made a visit to one of the disputed islands on Monday, Tokyo reacted by describing this trip as “regrettable” and summoned the Russian ambassador for an explanation. Dmitry Streltsov, a political analyst from the Moscow University of International Relations said that in his opinion the primary goal of the Japanese authorities was to show that they were still not ready for any compromise with Russia in the islands spat. However, the analyst deemed it unlikely that Tokyo would bring the question to the international agenda, as the Japanese government understands that it would get no support from the international community. 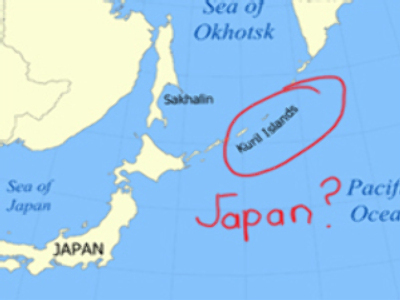 On the internal level the Kurils problem has deep roots in Japanese society. The question is linked with the understanding of the results of the Second World War, and thus immediately affects Japanese national pride. At the same time, even though the issue spoils relations between the two countries in the political sphere, business circles continue to develop ties and co-operation grows. For the further successful development of relations, the islands dispute should be moved to the periphery of bilateral diplomacy, the analyst concluded. Jeff Kingston, an expert on Asian affairs, says Japan’s recent territorial quarrel with China over the disputed Senkaku Islands is one of the reasons Japan decided to react this firmly. Just a few weeks ago, following pressure from Beijing and protests among the Chinese public, Japanese prosecutors released a Chinese trawler captain who had been arrested near the disputed Senkaku Islands. Evgeny Bazhanov from Russia's Diplomatic Academy does not predict any dramatic changes in relations between Russia and Japan. 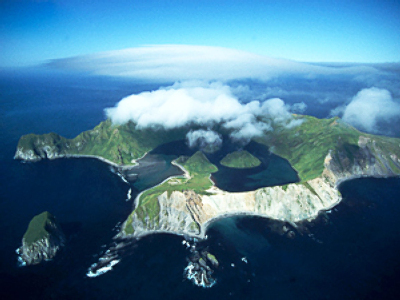 The Southern Kuril Islands have been disputed since they were first discovered by explorers in the 17th Century. The present conflict traces back to 1945 and the end of WWII, when Soviet troops took control over the four islands that were Japanese at that time. Japan says the islands should be returned to them, and the dispute is mostly the reason why Japan and Russia have not signed a peace treaty yet. The dispute over the islands has been intense over the years as they are considered strategically important – it is believed the region is rich in mineral deposits and oil and gas reserves.